State Bank of India (SBI) is the largest commercial bank of India. There are several perks and advantages associated working with biggest bank of India SBI. This bank offers the best-in-class entry-level compensation package for Probationary Officers (PO). Aspirants will also get exposure to various facets that will make you a real Banker apart from the various benefits. 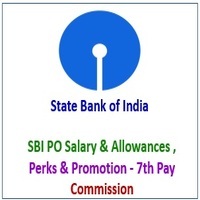 In this page, you will get the ideas about the SBI PO Salary Structure, Perks, Allowances, Hierarchy of Promotion etc. Security & Pension of Government Job. Climb up the career ladder is easier. 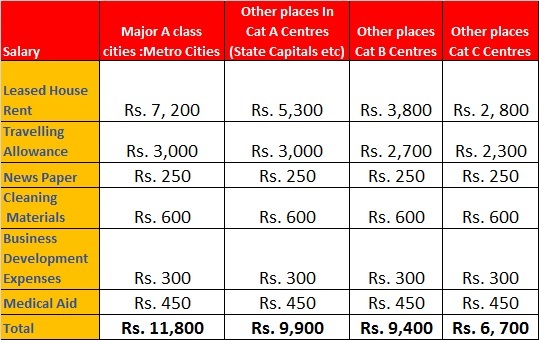 This compensation includes Least Rental Accommodation where the employee get the housing rent as the part of its package.If due to some reason SBI is not able to provide accommodation to its PO, it compensate by providing the Housing Allowance. Your this allowance become more prominent as you move up the career ladder. The employees gets leave travel concession to visit the places within India . Holiday home and bank guest house are available for employees at cities and tourist destination. Scholarships to the meritorious children of all Employees. So all and all, getting offers to serve as an SBI Probationary Officer is a definite step toward leading a comfortable and well routed life for a great and enforces life. SBI PO Salary after 7th Central Pay Commission (CPC) is recommended around Rs. 41, 490 per month. This Seventh Pay Commission scale and initial salary is proposed salary.